Any e-commerce sale is worth celebrating. More than just a drop in the bucket, it represents the culmination of an important customer journey. Still, some sales are more impactful than others. The higher your website’s average order value, the more revenue you’re earning per sale. Put simply, average order value is your total revenue divided by the number of transactions. Boosting your AOV is either a matter of getting customers to buy more “small” items per transaction or successfully selling pricier items. This e-commerce guide for selling big-ticket products online will help you learn more about what it takes to boost AOV and maximize each sale. Trust is especially crucial to someone eyeing up a significant purchase. It’s a heftier purchasing decision, which means you have to help them make up their mind. It starts with understanding basic buyer psychology. As shoppers browse your website, they’re constantly assessing your trustworthiness. They’re looking for reassurance that giving their hard-earned money to you is a worthwhile risk. So, what factors can make or break trust in e-commerce? To start, make sure you have plenty of genuine customer-generated product reviews posted in an easy-to-find location. People trust other shoppers more than they trust a company. The presence of reviews and ratings is comforting; their absence is a major red flag for buyers. Even if a shopper adds a big-ticket item to their cart, there’s still plenty of time for them to reconsider. This is especially true if your checkout process is convoluted. One tiny hiccup can serve as a catalyst for shopping cart abandonment. Buyers expect a seamless, convenient purchasing process from start to finish. Customers are always thinking one step ahead. Before they’ve even bought a product, they’re considering issues like shipping, customer service and returns. 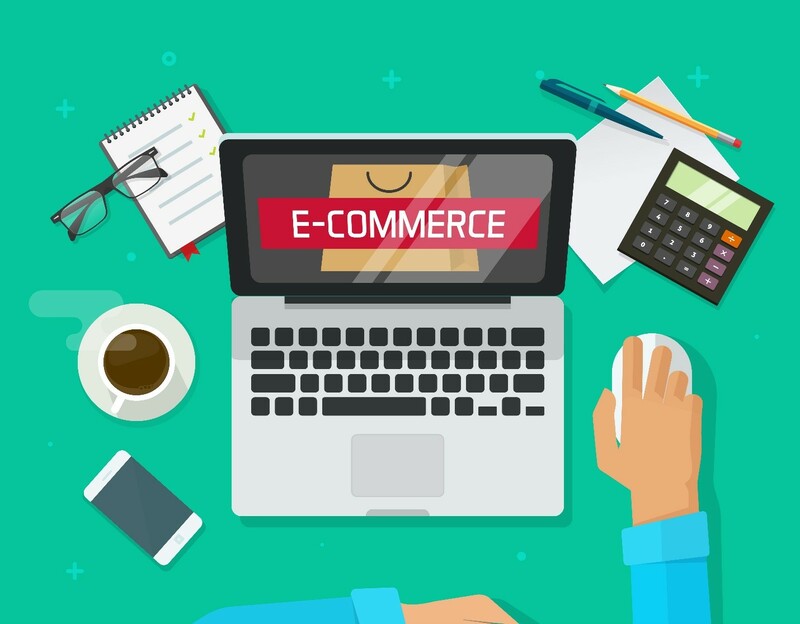 Make sure your website assuages any concerns and boosts confidence for the post-purchase journey. Let’s say you’re selling home furnishings. When you open a furniture store online, it’s important to consider the pre-purchase and post-purchase journey. Before buying, visitors will click through photographs, scroll through features and compare prices. But at the same time, they will be creating a “contingency plan” in case they need to ask a question, exchange a product or make a return. Make sure your website contains ample information about your policies and plenty of links to customer service outlets. This is especially beneficial when it comes to selling higher-priced items. Although you and your customers both hope the products they order will be perfect on the first try, there’s no guarantee. The more flexible your return policy, the more likely people are to take a gamble on buying something expensive from your store sight unseen. This is because they’re assuming less risk in taking the plunge if they know they can return or exchange it should something go awry. Of course, you’ll have to crunch the numbers to determine what’s financially feasible for your store. After all, open-ended return policies can become costly, fast. This e-commerce guide to selling big-ticket products online will help you boost customer confidence so they make every purchase count—raising your AOV in the process.